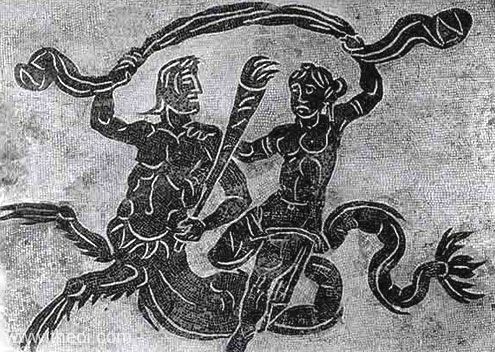 A Nereid-nymph rides across the sea on the back of a sea-god (perhaps Triton or Phorcys). The marine deity has the upper body of a man, the serpentine tail of fish, and leg-like fins. He holds a flaming torch and one end of a billowing cloak in his hands.